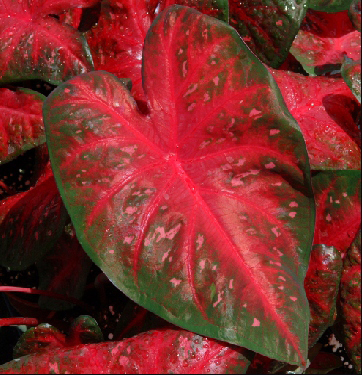 Caladium Red Flash (Fancy Leaf) - Brad's Bedding Plants, Inc.
A fancy leaf variety that is mosty Red with light pink spots and a green border. Grows 12-16″ in full sun to partial shade. Excellent performer.